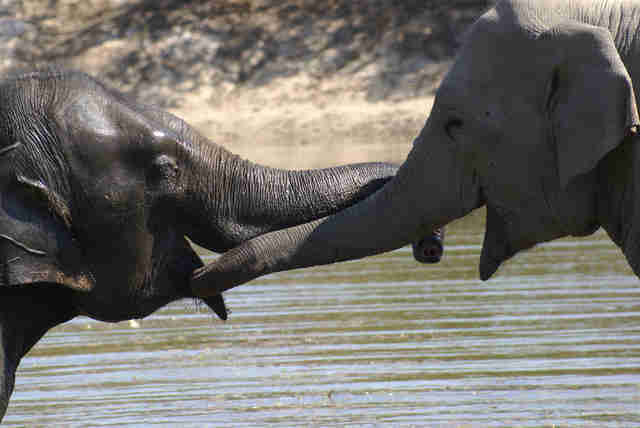 Happy Valentine's Day, elephant lovers! As we all think of our loved ones this weekend, let's celebrate all the love that elephants experience, too. 1. Elephants are highly intelligent, social creatures with rich emotional connections to their families and herd members. 2. When an elephant reunites with a loved one after a period of separation, it's a loud exuberant elephant party full of affection and expressions of joy, including "elephant hugs"! 3. 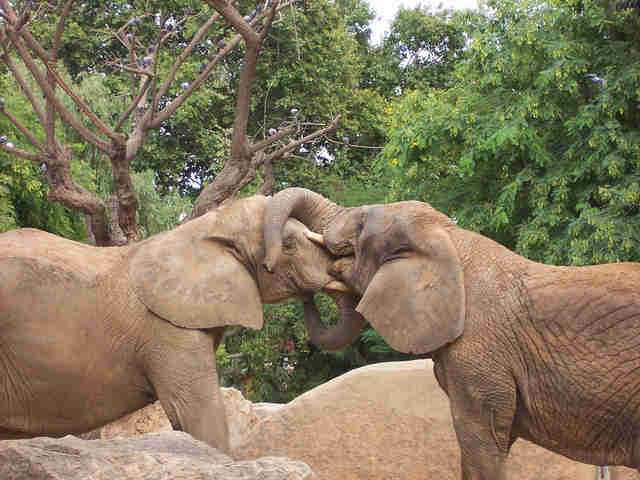 Elephants entwine and caress each other with their trunks to show love and affection. 4. 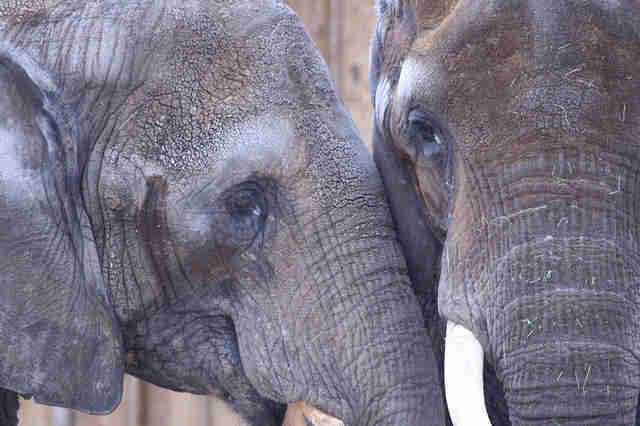 Elephants can form life-long, loving bonds with other elephants, even ones they're not related to. Yes, elephants can have BFFs! 5. 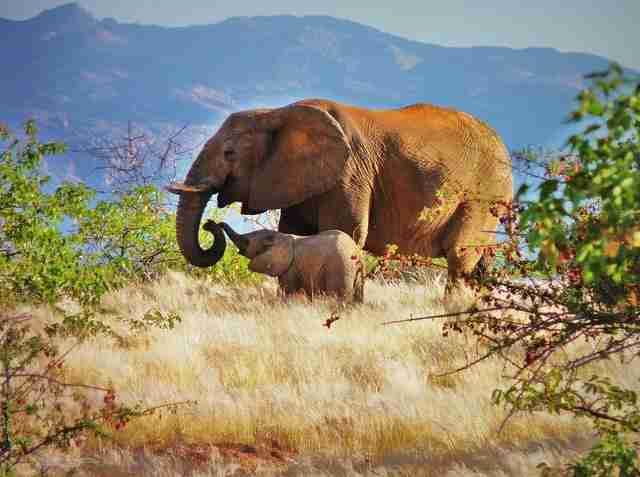 Elephants are altruistic and will help their loved ones whenever they need it. 6. 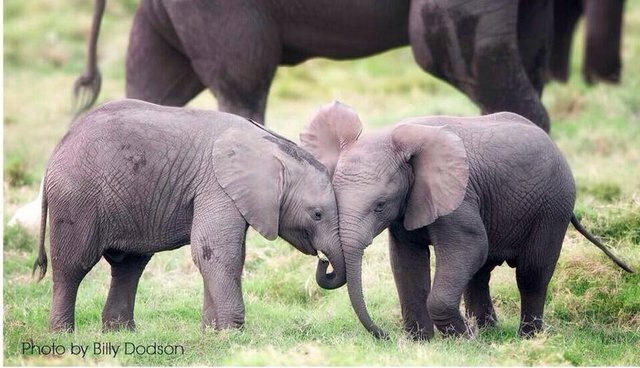 Even elephant calves emotionally bond with each other early, in addition to the unbreakable love between a mother elephant and her baby. Elephants have a lot of love to give. 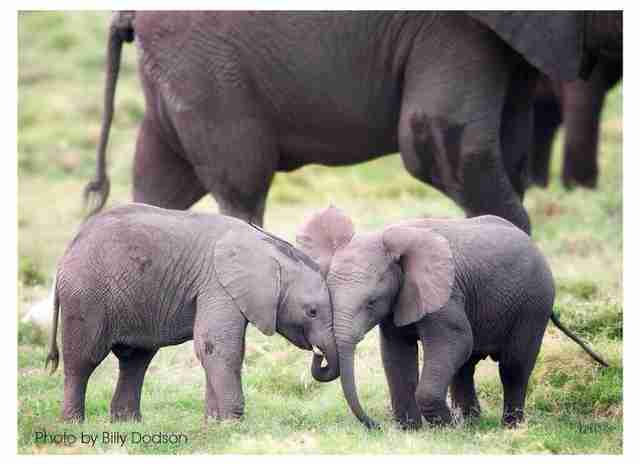 Let's give them our love too, and do everything we can to help save them from illegal poaching and the ivory trade! To learn more about how you can help them and get involved, follow us on Facebook and check out our website at www.elephantsdc.org.